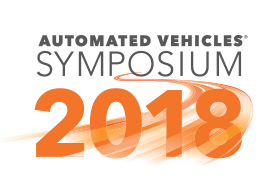 The recent Automated Vehicles Symposium (AVS) in San Francisco boasted record-breaking attendance as well as plenty of interesting presentations and discussions. It also differed from previous AVS events in one important way: It was less about new technologies and more about regulations, legislation, and city planning. In my role as an intellectual property (IP) attorney for Peloton, I admit to being a bit disappointed in the lack of new technologies announced. After all, it’s my job to stay on top of the current state of the art of pertinent technologies and speculate about where they’re headed next. But the shift in focus at AVS represents a level of maturity that’s a welcome sign for Peloton and the industry as a whole. Here’s a vivid example of what I mean. At AVS 2017, the keynote speakers came from Toyota Research Institute and Zipcar. At AVS 2018, the keynote speakers were Elaine L. Chao, Secretary of the U.S. Department of Transportation (DOT), and Heidi King, Deputy Administrator of the National Highway Traffic Safety Administration. Automated vehicles, as well as truck platooning technologies, require the passage of new laws and regulations before they can hit the roads commercially. Putting regulatory and legislative issues at the forefront of AVS 2018 signals that automated vehicles are becoming more ‘real’ and generally accepted. Because platooning does not equal autonomous driving, platooning technologies such as those from Peloton require less stringent permissions and face fewer regulatory hurdles. In fact, 17 U.S. states have already declared that platooning is allowed within their borders. Still, there’s work to be done before truck fleets can platoon everywhere. Josh Switkes, Ph.D., CEO, and co-founder of Peloton, gave a talk on “Real Commercial Platooning—Real Safety and Savings.” He emphasized the safety and fuel-saving benefits of commercial truck platooning. For example, Peloton’s vehicle-to-vehicle (V2V) and vehicle-to-cloud (V2C) technologies can make driving a truck even safer than using collision mitigation or automatic emergency braking systems in even the best Class 8 semi-tractors on the road today. Platooning can reduce rear- and front-end collisions while preventing traffic from cutting in between trucks. Plus, platooning can yield significant cost savings. Mike Roeth, executive director of the non-profit North American Council for Freight Efficiency, is quoted as saying that platooning saves 4.5% in fuel for the front truck and 10% for the following truck—which is particularly significant for truck fleets. Steve Boyd, vice president of external affairs and co-founder of Peloton, was on a panel discussing “Opportunities and Challenges for the Deployment of Truck Platooning Applications” along with representatives from the Federal Highway Administration (FHWA), Florida DOT, California Highway Patrol, Volvo Group, and Daimler. Boyd stressed the importance of creating platooning systems that are easy to use and appreciated by truck drivers—because if drivers don’t like a platooning system, they won’t use it. Chris Gerdes, Ph.D., a co-founder of Peloton who served as the company’s principal scientist before joining the U.S. DOT as its first chief innovation officer, gave a talk on “Designing Automated Vehicles Around Human Values.” Currently a professor of mechanical engineering at Stanford University, Gerdes discussed ethical issues around autonomous vehicles and the importance of designs that reflect societal values. Peloton’s strong presence at AVS 2018, along with the number of speakers from the legislative and regulatory realms, reinforces that platooning, at least, is ready for commercial markets. I might have to search a bit harder at future AVS conferences for insight into hot new platooning and autonomous vehicle technologies from a patenting perspective. 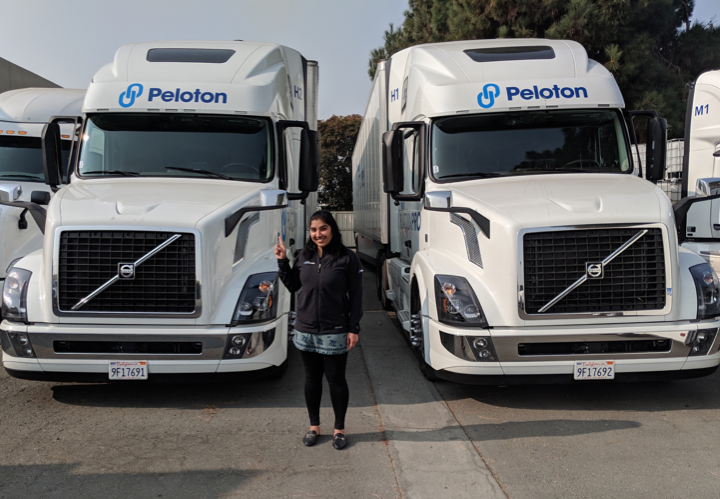 But it’s gratifying to see the industry taking the necessary steps to pave the way for Peloton’s truck platooning technologies to thrive.